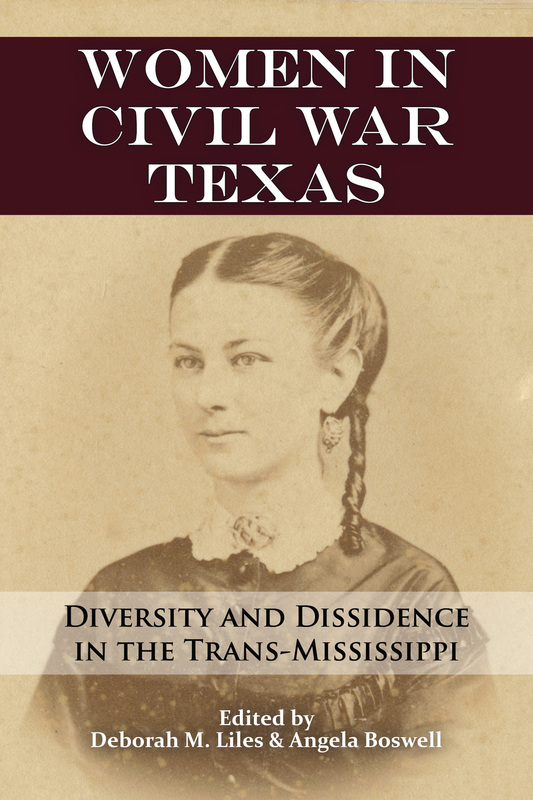 Thank you to the University of North Texas Press for sending a complimentary review copy of Women in Civil War Texas: Diversity and Dissidence in the Trans-Mississippi edited by Deborah M. Liles and Angela Boswell. Women in Civil War Texas is the first book dedicated to the unique experiences of Texas women during this time. It connects Texas women’s lives to southern women’s history and shares the diversity of experiences of women in Texas during the Civil War. Contributors explore Texas women and their vocal support for secession, coping with their husbands’ wartime absences, the importance of letter-writing, and how pro-Union sentiment caused serious difficulties for women. They also analyze the effects of ethnicity, focusing on African American, German, and Tejana women’s experiences. Finally, two essays examine the problem of refugee women in east Texas and the dangers facing western frontier women. Grenier, Bob. 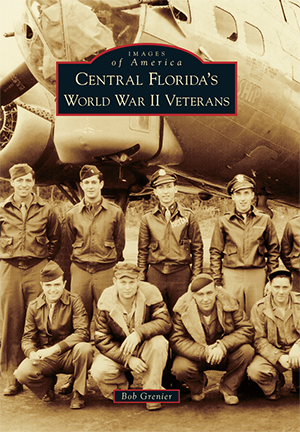 Central Florida’s World War II Veterans (Images of America) . Charleston: Arcadia Publishing. 2016. 128 pages, b/w photos. ISBN 9781467116794, $21.99. The Greatest Generation is silently, yet rapidly, passing on to their reward. When you stop to think that the end of World War II was more than 70 years ago you can easily fathom that it will not be long until the last veterans from the war pass. Author Bob Grenier, who wears many hats including historian, museum curator, Walt Disney World employee, politician, historical activist, and more, has written what I find to be a very fitting tribute to the common soldier. 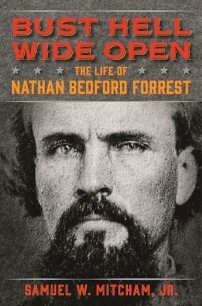 This is not a book glamorizing the Generals or the Colonels, or even the Lieutenants. This is not a book glamorizing war nor condemning the enemy. Instead, it is a book that reminds us the soldiers who went to serve in far away lands they might not have been able to find on a map were real people. They were fathers, sons, brothers, uncles, husbands, or boyfriends. In some cases, they were daughters, wives, sisters, aunts, or girl friends who served in organizations like WAVES, or as nurses, or were part of the Red Cross. Not all of the men in the book survived. Some, like Medal of Honor recipient Robert McTureous, paid the ultimate price. The book is broken down geographically into eight chapters with a concluding chapter titled Florida’s Gallant Sons and Daughters. The chapters feature soldiers who lived in or moved to an area and markers or memorials to the War. Each chapter is loaded with photos; some contemporary, some from the war, some personal such as wedding photos, and some are memorials and remembrances. All tell a story though and through the limited text allowed for each image Grenier helps evoke feeling of the image whether it be happy, sad, uncertain, confident, or scared. This book reminds us how precious life is and that our time is fleeting. A generation called the greatest is rapidly leaving us. It will be left for us, the living, to remember them. With this slim volume Bob Grenier has provided us a way to remember the men and women who helped stop Axis forces and allow the American way of life to continue. One can not finish this volume and not be moved. Highly recommended. **For full disclosure: Mr. Grenier has spoken at the museum where I work and I would consider him to be a friend. I did however purchase my copy of his book and he has in no way asked for me to write a review. The review is based upon my own reading and viewing of the book. Negroni, Christine. The Crash Detectives: Investigating the World’s Most Mysterious Air Disasters . New York: Penguin Books. 2016. 276 pages, 264 pages text, bibliography, index, b/w photos. $17. 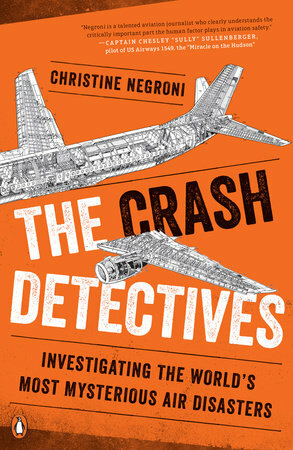 Author Christine Negroni is said to be a “thought leader” in the aviation industry and as such contributes regularly on the subject of air safety. Her background is in journalism and broadcasting. Her work led her to the field of aviation and she in not a pilot or an engineer. The subject of this book is one that I was highly looking forward to. I had anticipated a more in-depth look at a small number of air disasters. I don’t think that was an unreasonable assumption based upon the title and the background of the author. The Introduction is fairly well done though simplistic. It points out the myriad of reasons Negroni finds for air traffic accidents: communication failure, an over reliance or misunderstanding of technology, errors in airplane or engine design, or a lapse in performance whether it be crew, operators, or mechanics. That doesn’t leave much room for anything else. She then states that crashes are not investigated to provide closure to families (tell that to grieving survivors) or to assign blame (tell that to prosecutors and attorneys). Instead, investigations are done in order to prevent similar accidents in the future. Unfortunately, as you read along you will find out that is only true if aircraft manufacturers, airlines, governments, and the flying public pay attention. The Introduction wraps up with her theory that Malaysia Airlines Flight 370 (MH370) was downed due to an electrical malfunction that lead to a rapid depressurization of the plane that lead to the pilots quickly becoming incapacitated. Remember that this is just a theory and little proof is available to back it up at this time. I would have preferred this book stick to just a couple of crashes and describe what happened and then cover the investigation. Instead we are treated to many brief snippets about crashes throughout air travel history. Really way too many in my opinion and it waters down the effectiveness of what the author is trying to get across. The author makes a strong point that despite all the progress that has been made there is still a huge gap in knowing where aircraft are when they are over open waters. Once a plane leaves the range of land based radar pilots and towers are living off satellite communication that is both expensive and slow. Planes communicate their location approximately every 15 minutes via satellite. This time gap allows a plane to travel up to 150 miles before the next signal, if one is sent. As we know, that is more than enough time to become hopelessly lost to those on land. Another well made point is the issue of technology and can pilots keep up with it. Pilot error has often led to calls for automation in the industry. With automation however come the issues of complexity and complacency (page 226). If pilots become too trusting in their machinery how will they know if what the computer is telling them is wrong? Garbage in garbage out. As planes continue to grow in size and complexity this issue will continue to be one that manufacturers and airlines must keep up with. More advanced training, which can become very expensive, will be needed for pilots to fly the planes of tomorrow. Air travel is no longer the way of the wealthy. While flights are expensive they are within range of many travelers, especially due to the growth of budget airlines. When there is an accident, whether there is loss of life or not, it is big news. That goes to show the level of safety the industry has achieved. An airline disaster is good for nobody and the industry works hard to keep safety standards high. Are there bad apples? No doubt. However, we have to trust that the industry and the market will weed them out. When there is a genuine disaster there are men and women who will work tirelessly to get to the bottom of it both for the families and for the industry. While this book could have been more focused and thus have done a better job of meeting its goals I found myself drawn back to it each night despite having several others books started. The writing was fine and I found the subject interesting. This book is no doubt written for the general public and as such would probably not offer much for those with more than a passing bit of knowledge.